Greetings from Fitzwilliam College, Cambridge University (UK), where I have been attending the 10th International Conference on Computer Science and Education (ICCSE 2015). Most of the other delegates left yesterday and the quad is quiet. 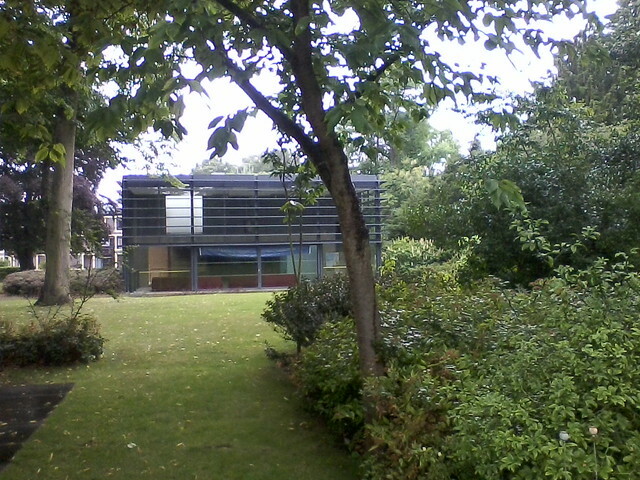 Fitzwilliam ("Ftiz") has modern buildings (with plumbing), but retains a modest scale and has quiet quad. The auditorium used for the conference is only the hight of a two story building, but extends another two stories underground. Like the conference room at Hong Kong Open University (where I attended ICOFE2015), the auditorium also doubles as a basketball court. Apart from the gardens, the best part of Fitz was the helpful Porter and the barman. The service is understated. Unlike a hotel, when I arrived I did not need to show my passport, provide a credit card deposit and fill in a form. I gave my name, signed in and d was handed a key. Unfortunately, the food was not so good (the baked beans of an English breakfast can be hard to face in the morning). However, the WiFi was excellent (apparently University of Cambridge had suffered a major network outage the day before, but it worked flawlessly during my stay). You do not have to be alumni or attending a conference to get the university college experience. The service I booked through, Universityrooms.com, has rooms around the world. But keep in mind that during semester times there may be few rooms available, and during the breaks conferences make block bookings. ps: There is a performance of Romeo and Juliette to attend at St. Johns. And just down the road from the oldest pub in Cambridge: The Pickerel.